Adjective. Colloquial. Late 20th century. Ordinary, basic; unexceptional or uninspired. Bog-standard is a bog-standard expression in Britain, meaning that something is very ordinary and has no extra frills, gizmos, attachments or extras. There's a lot of debate about its origin, with various language pundits weighing in on the issue. The theories include bog being an acronym for 'British or German' (though this is almost definitely a backronym applied by over-zealous word detectives). Another suggestion is that bog simply means bog, either of the marshy variety or the slang word for a toilet. This idea holds a little more water in that, although bog-standard means ordinary, it does also carry a somewhat derogatory tone, as any association with bogs or bogs would. My favourite by far, however, is that as posited by Stephen Fry on the British trivia programme QI. He said that early sets of Meccano were sold in two boxes: Box Standard and Box Deluxe. 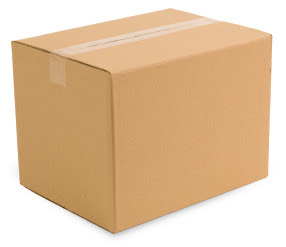 The Box Standard was obviously the bog-standard set, and through the corruption of pronunciation that English-speakers are so fond of, it eventually evolved into the very slightly pejorative expression bog-standard. The OED stays clear of specifically naming Mecanno sets as the ultimate origin, hedging its bets by simply staying that it's "probably" an alteration of box-standard. Come to think of it, seeing as bog-standard prompts such interest and debate, perhaps it's not such a bog-standard expression after all. Do you have any other theories for the origin of bog-standard? Please leave your completely unremarkable comments below. Based on Stephen Fry's explanation, would Box Deluxe be bog-deluxe as in exceptional? Umm ... no ... based on his explanation, Box Deluxe is the origin of the the expression "The Dog's B*******" to mean something exceptional (the Mutt's Nuts is a slightly less profane rendering). That just made my day! Ta!